Standard Time functions as a new civic clock. 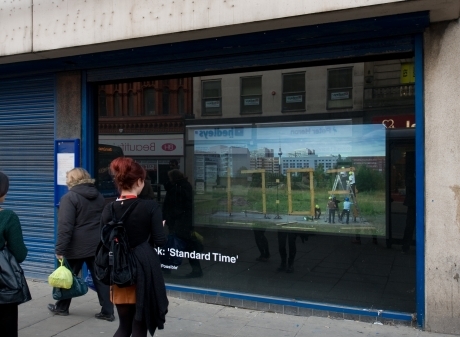 Projected in an empty shop window, this ‘digital clock’ tells the exact time of day. 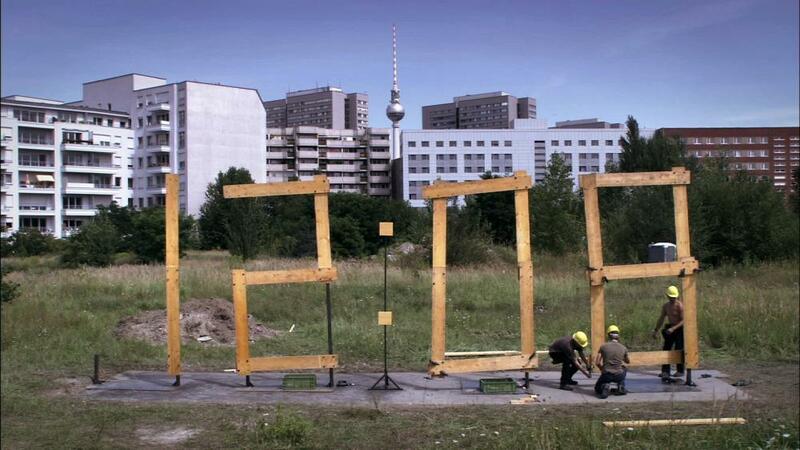 However it is actually a film of a 4 x 12 metre structure made of wooden planks rebuilt 1,611 times over the course of four shifts by 72 workers to create a physical 24-hour clock. 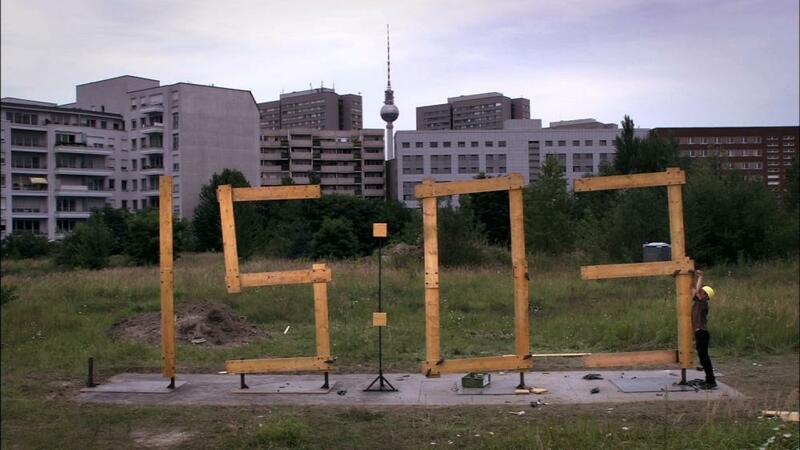 Standard Time shows calendrical time quite literally as a man-made construct. 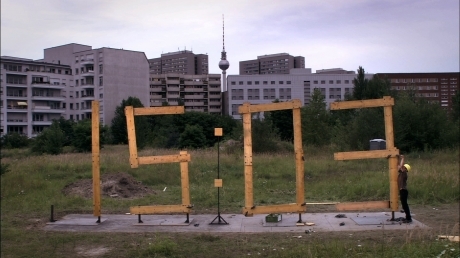 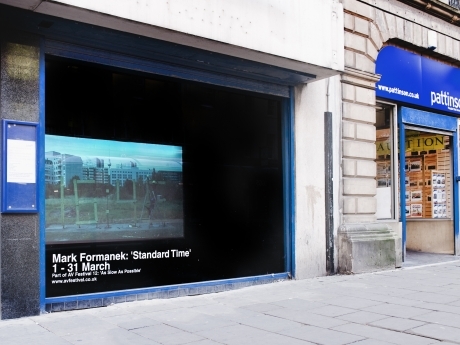 Standard Time is an artwork by Mark Formanek, realised by Datenstrudel in co-production with Bigfish GmbH. 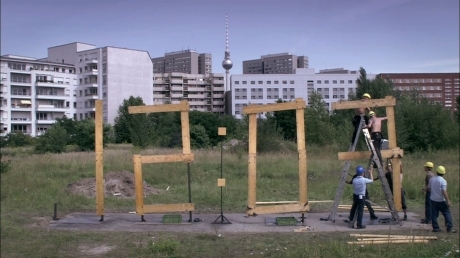 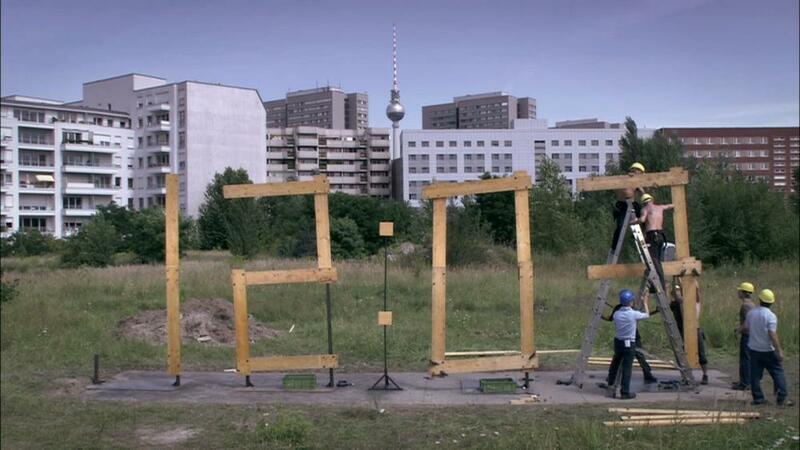 Supported by Stiftung Kunstfonds & Filmstiftung NRW, Skulpturenpark Berlin.